ATLANTA—Georgia election officials have asked a judge to toss out a lawsuit filed by an organization backed by unsuccessful Democratic gubernatorial candidate Stacey Abrams that challenges the way the state’s elections are run. Lawyers for recently sworn-in Secretary of State Brad Raffensperger, who is the state’s top elections official, and election board members said in a motion to dismiss that the lawsuit fails to bring valid claims. They also argue that state officials are not responsible for any of the harm alleged and are immune from such suits. The lawsuit, filed Nov. 27, says mismanagement of the election resulted in some citizens, particularly low-income people and people of color, being deprived of their constitutional right to vote. It seeks major reforms and asks that Georgia be required to get a federal judge’s approval before enacting any voting rules to ensure that changes wouldn’t disenfranchise minorities. 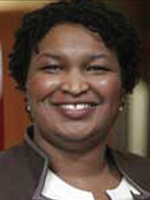 Georgia Gov. 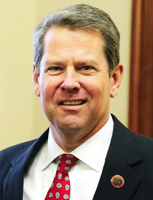 Brian Kemp, who beat Ms. Abrams in the November election, served as secretary of state until two days after the election when he stepped down after declaring himself governor-elect. Ms. Abrams regularly called Mr. Kemp “an architect of suppression” during the campaign, an allegation he vehemently denied. Joining Fair Fight Action as a plaintiff in the lawsuit is Care in Action Georgia, the state chapter of a national nonprofit dedicated to fighting for the rights of domestic workers. The state lawyers argue that the two organizations fail to allege any specific, concrete harm to themselves, meaning they lack standing to bring their claims. The organizations argued in the lawsuit that they have to spend additional resources educating voters because of alleged violations of law by election officials, but state lawyers argue that is something the organizations would already be doing, not an additional burden. Alleged problems at the polls cited in the lawsuit would fall under the responsibility of county election officials, so state election officials are improperly named in the suit, state lawyers argue. Although the lawsuit says state officials failed in their responsibility to properly train county officials, it doesn’t identify any specific deficiencies or allege any intent or deliberate indifference, state lawyers wrote. Fair Fight CEO Lauren Groh-Wargo, who previously served as Ms. Abrams’ campaign manager, said there is no doubt the recent elections were mismanaged and tainted by voter suppression.